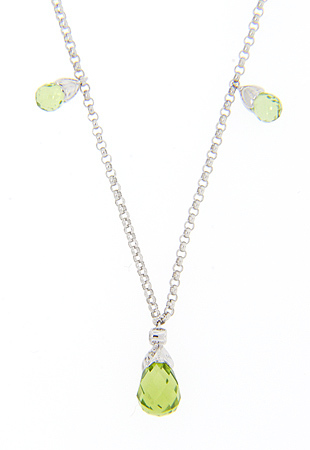 Seven faceted peridot briolettes decorate this 14K white gold antique style necklace. 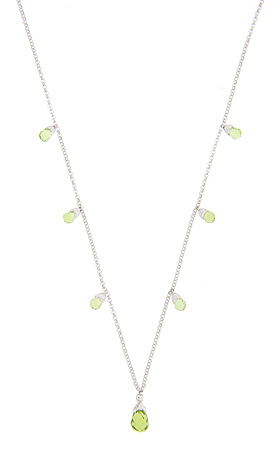 The center peridot is slightly larger than the three stones that ornament each side. The chain measures 16” in length.